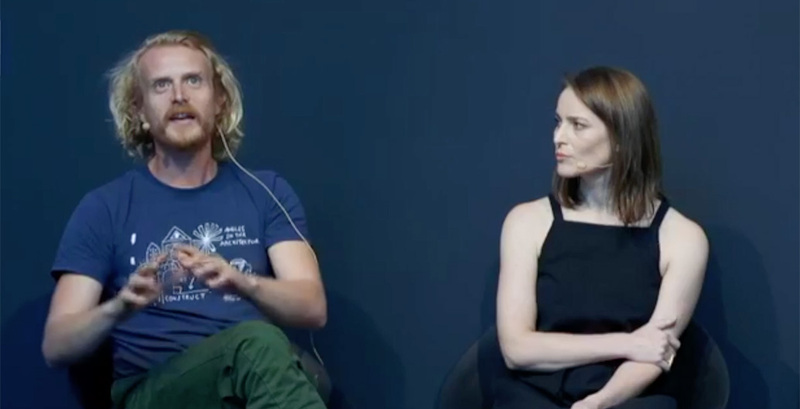 The Toxic City panel, Melbourne Design Week 2019. 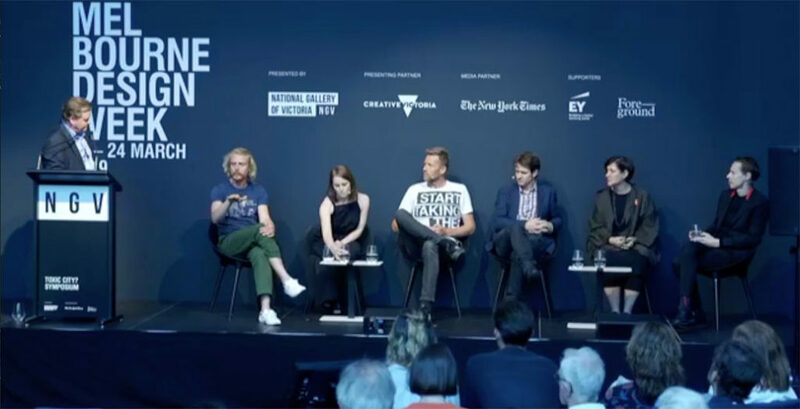 In this provocative discussion from Toxic City, our March 2019 symposium at Melbourne’s National Gallery of Victoria, we bring together a panel of experts to explore how we might confront the systemic problems poisoning our cities, and our planet. Andrew Mackenzie (Foreground): In Australia we have local govts – and we have cities made up of 30 or 40 of them – but do we need something like a Greater London Authority to help? Whether it’s funding or regulation, do we have the kind of government structure that can do what is needed? Craig Reucassel (Jury Chair, ABC’s War on Waste): It’s interesting because City of Sydney and City of Melbourne are very wealthy councils and often able to lead the way. They’re the ones able to do experiments with changing behaviours – things like Degraves Street and food waste recycling. It’s frustrating that the further you get away from people, the further you go from councils to state to federal government, the more disconnect you see and the less leadership. If cities could get together they actually have an enormous amount of resources and could lead the way. I don’t know what body is needed but leadership is needed. AM: I guess another way of asking the question is where do we see the leadership coming from? We’ve talked a lot about entrepreneurs and small organisations and educational institutions, but within that is it possible to see the sort of changes we’re talking about without some kind of public sector support? 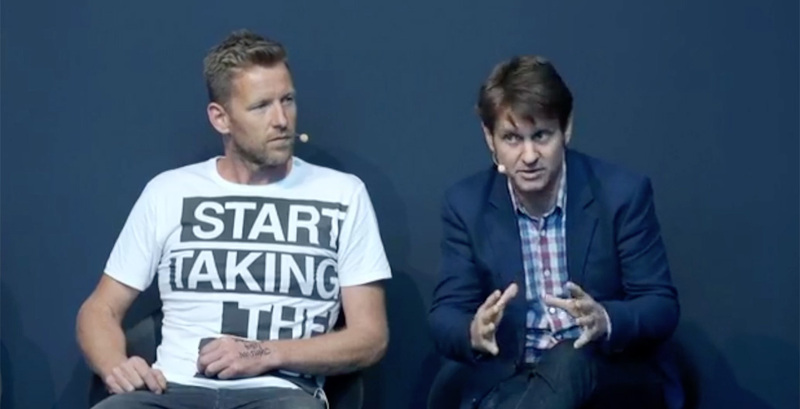 Joost Bakker (entrepreneur and environmental activist): I think leadership never comes from government. It always comes from people and government follows. That’s just the reality, the way it works. I think if people demand it and people do it, politicians will follow. Toxic City panellists Ross Harding (L) and Bonnie Herring. Craig Reucassel (R) and Joost Bakker talk toxic cities. Craig Reucassel (L) and SueAnne Ware talk Toxic Cities. AM: We have the technology and we have the creativity. But at the same time, if you listen to the morning news, it can be very easy to be downcast. What is the missing ingredient? If we can point to what happens in California, in Berlin and elsewhere, what is the thing that’s holding us back? Ross Harding (founder, Finding Infinity): My understanding is that Australia is one of the most over-governed countries in the world. I don’t think it matters where the leadership comes from, we need the leadership. A lot of councils have strategies for going zero-carbon but they’re not doing anything about them. We need a vision, a strategy and an implementation plan, but we also need to do it. And then we need to monitor it, measure it and continue to improve on it. JB: If you look at how solar has been supported, it’s been diabolical in this country over the last 10 years. State government has something different to federal who takes the incentive away. A tariff gets put up, then the next government that gets in lowers it or gets rid of it. Yet, I built my place 10 years ago and there were 65,000 houses with solar; today there are two million! We’ve got more solar panels than any other country in the world and that’s purely driven by people wanting to do it. CR: There has been some leadership. Some of the state governments have put in place tariffs and subsidies for panels. One of the reasons we have a lack of leadership at federal level is that in Australia we have a heavily carbonised economy. An enormous amount of power and donations come from companies that benefit from the existing system. To be fair to politicians briefly, it’s not just donations. If you are the member for Mackay, you’re unlikely to be talking about getting rid of coal. Those kind of power influences are there and that’s why we’ve been so slow. The fascinating thing in the lead-up to this election is seeing Tony Abbott believe in the Paris Accord and Scott Morrison talking about solar power. Why is that? It’s because we are moving closer to the part where the population gets to talk and that’s through the vote. And the problem is that in Australia we get to talk through the polls every few years and the donors and other powers get to talk the rest of the time. Interestingly enough I think the reason it’s also become bigger now is that as a population it’s more accepted that climate change is real. And that’s leading to more pressure on politicians. So I think Joost is right when he says it doesn’t get led by the politicians. It gets led by us putting pressure and that’s what we’re starting to see now. JB: Plastic is the classic example. You see the plastic so you’re aware of it and want to do something about it. Holland is an example. We left in ’82 and it was acid rain, canals were dying, fish were dying, roadsides were sprayed – it was a polluted country. And we went back in ’87 and it was worse. Then in ’93 I went back and it was like a new country! It just got to the point where the population said this is enough. AM: So where you see the shores full of plastic or you see the evidence of pollution it catalyses things. But what about when the pollution is a bit less visible? How do we communicate this, because it does seem to be about communication? Bonnie let me bring you in here around food production and land use. I was staggered to recently discover the impact of land use, land use change and forestry. Look up LULUCF. The impact of clearing of forest in Australia in the last 10-15 years, in some ways overshadows all our conversation around carbon emissions. And it’s partly to do with food, isn’t it? Bonnie Herring (Director, Breathe Architecture): Absolutely. Food production is out of sight, out of mind. It’s not something we see. Our food isn’t grown in or even near our cities as it used to be. By making it more remote we’ve made it worse for ourselves. We’ve added to emissions, through transport and all of the other processes of production. AM: In a way, one of the inescapable observations about today is that you are all, in different ways, polymaths. Is there something to be said about the roles you make? Do we need to challenge the disciplines and how we categorise our knowledge? 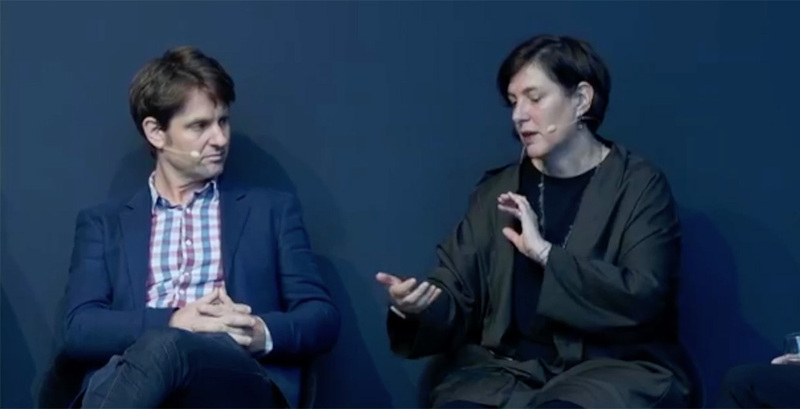 SueAnne Ware (head of school, Architecture and Built Environment, University of Newcastle): To be honest, all professions are shifting monumentally at this moment, and they have been for probably 30 years. I don’t know that any architect has gone to a conference that hasn’t been: Architecture is dead! We’re in a state of crisis! And landscape architecture too, and engineering as well. So professions in the built environment have realised they can’t do this same old, same old. It’s not working. But I don’t want to be an ecologist. I just want to work with a really good one. It’s knowing a bit about this, but who are the ten people you need to talk to? AM: And that’s a big shout out to young professionals. One could argue that is what designers do: you curate, you bring together lots of different specialisations. That would be one of the things an architect would claim as the calling of the practice: that they bring together multiple parties to build one thing. CR: I think it is the case that you do need cross-disciplinary people getting together. You often go: this is a problem, oh look, here’s the technological solution! It’s already there. When you talk about design week, part of design is designing the object or looking at the problem. But then part of it is looking at the economic side or the political side. Why do ideas not get traction? And also, to be honest, the behavioural, the psychology of change is a huge part of it. The amazing thing you’re talking about Bonnie is myth. The fact that we are constantly told that meat is very bad for health, incredibly bad for the environment, it has many different negatives. And yet most of us still eat meat constantly. So there you go. How do you get behavioural change? What is it that’s stopping that change from happening? That’s quite fundamental. Your design has to at least talk about politics, talk about economics, it has to do science, it has to do all those things. AM: I find it interesting Ross that one of the projects you were working on – Central Park in Sydney – is a big hairy beast, a big development, on a premium bit of land. Did you find you softened your language when talking to the developers? Or were they right up for a critique or typical development? RH: My view is that if we actually implemented every solution that is currently available, off the shelf, that we would get to where we need to get to. And we could do it within ten years. I’m not sure that answers your question but I firmly believe in working within the system. Whether that’s a city block in Sydney, a ski resort in Switzerland or a house, generally there’s a lot of things that confuse us along the way. People quite often want a Tesla battery that costs $12,000 and has no return, but they won’t do the 10 other things they could do to make the place go net positive. There’s waste technology from all over the world but it’s really hard to convince a developer to install something that’s 15 car parking spaces big that’s never been done before that generates energy and fertiliser, no matter how much you stack up the numbers. To me, step one is always working with the system to demonstrate the technical viability, demonstrate the financial viability. But developers are always underestimating the cost of the project, they need to rip out costs later and it’s always the sustainability bits that get ripped out. And this is where my head’s at at the moment: make it mandatory. It shouldn’t be innovative, it shouldn’t be special. Let’s make it boring. AM: But, in a way, if you say make it mandatory it comes back to the original question which is who makes it mandatory? By what authority? RH: State government I guess. City of Melbourne doesn’t have enough power. And when I look at the way local councils review these sustainability reports – they don’t have the time or the technical capacity to fully understand them. You can tell them a lot of things you are going to do and they don’t understand. JB: The current standards are so easy to meet. Look at the Living Building Challenge. The developer that Ross worked with in Sydney, they’re building a shopping centre that far exceeds any Australian standard. They’ve had to go to this organisation in New York because there’s nothing in Australia that comes close. Our standards are so low that they’re so easy to meet and then, you know, we’ll just throw a few solar panels on. Equally, excellence in that regard isn’t rewarded. You might do a really wonderful job, and you might be trying to weigh up the costs of providing a home versus solar panels. There are so many design decisions that go on. And yet if you really want to keep things in the project, you’ve got to play them off against others. If only you were rewarded for this excellence, for example in the way that your work could become streamlined through certain government hurdles that you have to take with every project. The time it takes is just so debilitating. SAW: I was thinking about China, because I go there at least four times a year now. Now, through various pressures, both bottom up and top down, they’ve decided no more coal. 2020 no more coal. They’ve decided no more waste. I have to say the people I work with in China are between 20-40 years old and they’re all on board and having a really interesting time with this. We could never do that in Australia with risk adversity and so on. But I keep coming back to what can I learn from China to bring back here about taking risks? And how do you talk to local government, or state government, or the Prime Minister? And my favourite example, as of late, is Jon Stanhope, who used to be the chief minister of the ACT, who just decided he was going to push for the National Arboretum. And he just said, I don’t care, I’m going to be dead by the time the 200 forests of these trees grow up, but it’s 250 hectares of trees – the largest carbon sequestration project in the southern hemisphere. It’s got rare and endangered species, it’s got all this stuff, right? You’d think it’s a no-brainer. He decided he would get this built. One guy. And he’s fighting the Feds and he’s fighting the National Capital Authority. And it happened and the trees are now amazing. You need a Jon Stanhope – well perhaps a female would be good too! – so the people hear. CR: You know I criticise politicians, but there is a risk aversion in Australia and in democracy and you can see why people have this aversion. Let’s look at plastic bags for instance. Woolworths took the surprising step of saying we’ll go to the 15 cent plastic bag model, even in the states that don’t have the legislation. And that shocked me, because I’d spoken to them and they’d said we’ll never do it unless the government tells us to because we don’t want to take the blame. So they did take a step there and luckily Coles followed them. Let’s see what actually happened once they tried to institute it. They got hammered constantly through the press. The whole east coast of Australia lost their minds about it. OMG how will I possibly eat without a plastic bag to carry it home!? Things went crazy. There were literally articles suggesting it was a human right to get a free plastic bag. And then the annoying and frustrating thing was that three months later it settles down, behaviours change, and we’ve cut down 80% on plastic bags. But if I look back and I think next time somebody in the boardroom of Woolworths says let’s take a lead on something, do you think it’s going to be easy to get it through? It’s going to be really bloody hard. And that is the problem: that unfortunately there is an inertia in our society.